Mind-machine interface technology (MMI) is popular among developers looking for new ways to break into the entertainment market. Beyond fun and games, however, MMI presents an incredible opportunity to revolutionize the way people living with disabilities access and interact with both the physical and digital worlds. To fully understand and appreciate where MMI is going, it’s important to know where it has been and how it has progressed. First introduced in the mid-1960s, Telecommunication devices for the Deaf (TDD) made it possible for those suffering from hearing loss or speech difficulties to communicate via telephone. TDDs allowed for text communication through phone lines, thanks to a keyboard and spool of paper that transcribed and printed text. As technology progressed, the spool of paper was replaced by a small electronic display. Of course, it’s not hard to trace the natural connection between these devices and the evolution of modern technologies such as email and SMS messaging. For the visually impaired, a task you would consider simple (such as reading this post), can be quite difficult without the right tools. Some screen reader apps will read the text on web pages aloud, while others can provide descriptions of images on websites that the visually impaired are browsing. Thanks to the development of applications such as these, the visually impaired are able to access, navigate, and communicate via the Internet. Where Do Mind-Machine Interfaces Go From Here? Today, it’s not uncommon to navigate menus through gestures or simple voice commands—and while these types of brain-computer interfaces (BCI) are exciting, we believe MMI technology has put us on the cusp of some absolutely incredible breakthroughs for those living with disabilities. Consider, for example, research recently conducted at the University of California in Irvine, where researchers and doctors were able to help a paraplegic patient walk again. The results of this study, which can be found in the Journal of Neuroengineering and Rehabilitation, show that for the first time this medical breakthrough was not achieved via surgery to re-connect the patient’s spinal cord, but rather through the use of an EEG based brain-computer interface (BCI). With additional research being conducted every day, the potential for new MMI technology is nearly limitless. Whether for non-invasive neurorehabilitative therapy, or more permanent surgical options, EEG technology— in combination with MMI—will greatly improve the world for individuals living with disabilities. 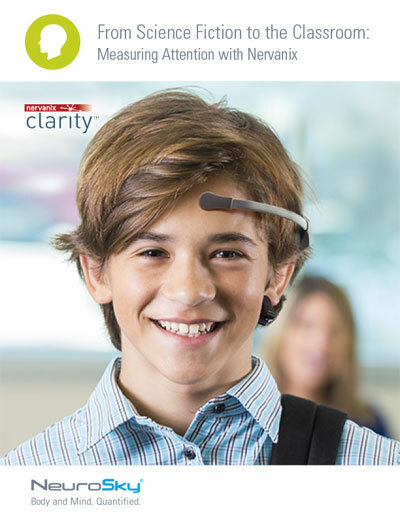 For more information on EEG technology and mind-machine interfaces, contact us today.